Rick's Pocono Blog: Splash Into The Waterparks of the Poconos! The Great Wolf Lodge - The World's largest chain of Indoor Waterparks is The Great Wolf Lodge with the very first one opening up in 1997 in Wisconsin. The Great Wolf Lodge in the Pocono Mountains of Northeastern Pennsylvania is an 84 Degree Indoor Waterpark that is fun for all ages. This park boasts slides, pools, and many other Amenities. Such rides include The Double Barrel Drop, Coyote Cannon, Hydro Plunge, River Canyon Run, and The Chinook Cove Activitiy Pool. The Great Wolf Lodge also comes equipped with many Pocono Resort Style Amenities including Fine Dining, Shopping, Spas, and a Fitness Room. The Great Wolf Lodge is located in the town of Scotrun in the Pocono Mountains, and it is definetly your next Summer Time Stop when vacationing in the Poconos! H2OOOOO Indoor Waterpark - This Fun Filled Splash Adventure is located in Lake Harmony Pa of The Pocono Mountains, and it is on site inside of the Beautiful Split Rock Resort. This is a complete Indoor Waterpark boasting Pennsylvania's first ever indoor Flow Rider. Other Awesome Features include the Viper, Piranha, and Amazon Blast Slides that drop Four Stories! Fun for the kiddies is also a special feature to The H2O Indoor Waterpark with such Amenities like the Jungle Falls and Leaping Lizards play areas. This Park is also open for Birthday Bashes. Book yourself with special birthday packages such as The Splash Birthday Party or The Classic Birthday Package! CamelBeach Waterpark - This Fun Filled Pocono Mountain Favorite is An Outdoor Waterpark. Camelbeach is located in Tannersville Pa, and is on site at Camelback Ski Resort Mountain. Rides, Slides, and Attractions await you at Camelbeach! Camelbeach offers a number of Slides including The Dune Runner, Sandstorm, Vortex, Titan, and so much more. 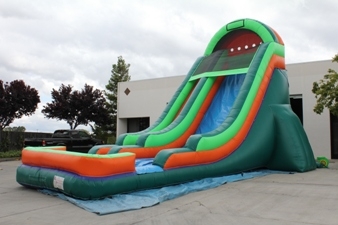 Camelbeach offers special slides for the children. Some of these include Mat Slides, Camel Cover, and The Flow Rider. Take your chances in The Adventure Zone, and enjoy Rock Climbing and Bungee Jumping at CamelBeach's own Climbing Wall and Free Fall! Labels: Camelback Mountain and Waterpark, Great Wolf Lodge, Lake Harmony Resorts, pocono communities, pocono homes for sale, Pocono Mountain Communities, pocono mountain homes for sale, pocono mountain lakes realty, Pocono Mountain Resorts, Pocono Mountain Waterparks, Pocono Resorts, ricks mountain homes, Split Rock Resort andamp; Waterpark, Tannersville PA.